ICFAI was established in 1984 with a vision of empowering quality education in this competitive world. In 1985, the institute successfully announced the launching of CFA program. ICFAI group’s business school IBS has been ranked amongst the top ranked B-Schools of India. It had successfully introduced the chain of Indian Business School (IBS) in 1995 across India. Their contribution in Indian education system is remarkable and now their educational centers are available in PAN Indian network. The achievement of Indian Business School (IBS) is also significant as they provide innovatively excellent education and infrastructure to their students. They act as a backbone for transforming their student's future and help them in becoming successful leaders in future. ICFAI Group has been classified into 3 units - the ICFAI Business School, the ICFAI Universities and the Flexible Learning Programs. The Flexible Learning Programs is a distance mod of learning. This advancement requires meticulous focus of students so that they can develop their skills and earn other world best opportunities in their career growth. Their focus is of delivering quality education with effective learning patterns. The institute invests in important areas of research like banking, agriculture, economics, finance, intellectual property, health and environmental sustainability. There are total 11 universities established by ICFAI Group across India. The foundation has successfully developed it's infrastructures in Jaipur, Hyderabad, Tripura, Mizoram, Sikkim, Himachal Pradesh, Raipur, Nagaland, Jharkhand, Dehradun, and Meghalaya. ICFAI University offers Bachelor and Master degree in Science & Technology, Hospitality & Tourism Management, Law and Information & Technology. ICFAI Flexible Learning Mode is a distance learning PG program, which has designed and developed for mainly working professionals. There are many professionals who want to pursue higher education but because of their regular working schedule they fail in continuing their studies. Considering this fact, ICFAI has come up with new concepts of education, which would be flexible from many points of view. It makes the student understand the compact and structured aspect of management studies in a professional way. Refund Policy: Course fee will be refunded within 30 days of enrolment after deducting admission fee and cost of courseware supplies fee. After 30 days of enrolment, no request for withdrawal will be entertained. 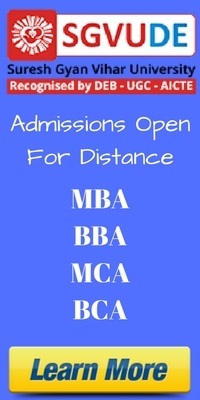 Students seeking admissions into ICFAI distance education courses can fill up the application form available on ICFAI official website. ​Students can make the payment through credit/debit card or Internet banking facility. Self-study is very much important and this particular programme is particularly based on self-study, although counselling classes are also organised for betterment of learning. University is responsible for providing prescribed books and study materials specially designed for the programme. Every year Exams are schedule in the month of April, July, October and January. The CBTs are held at test centers. The details of Test Centers will be available at the official website of ICFAI for every program. Students can choose centers as per their own convenience. Before applying for any of the courses, check all the related details properly.